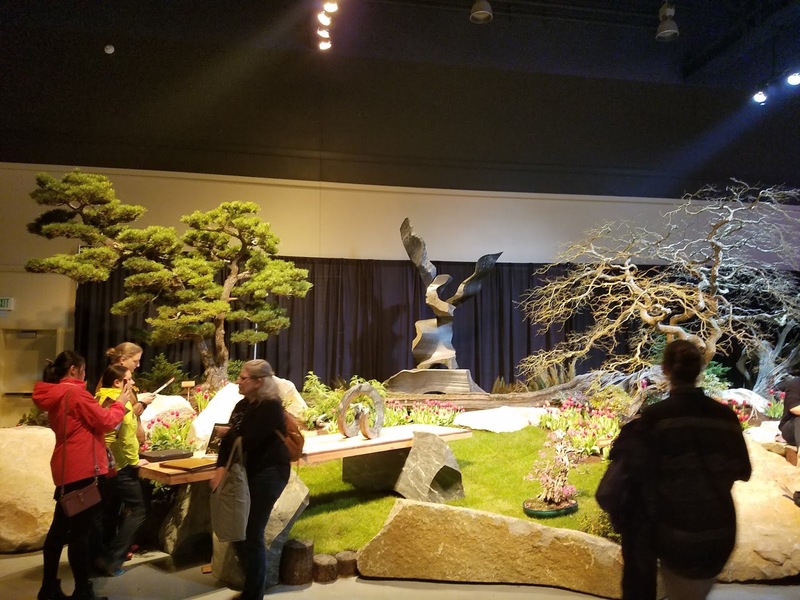 Last week, I published an article about my first year participating in the Northwest Flower and Garden Show (NWFGS) with the Elandan Gardens team. 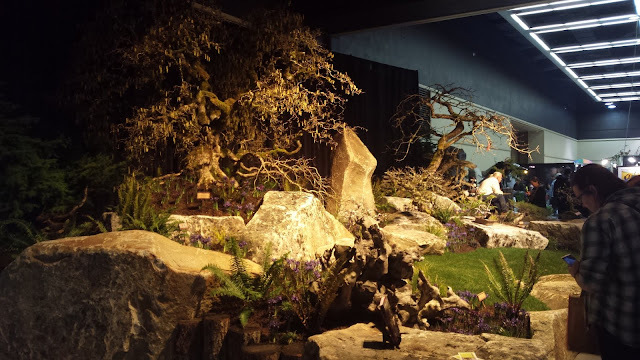 As of yesterday, the 2019 NWFGS is officially underway and I am glad to say my streak of participation with the Elandan crew continues! 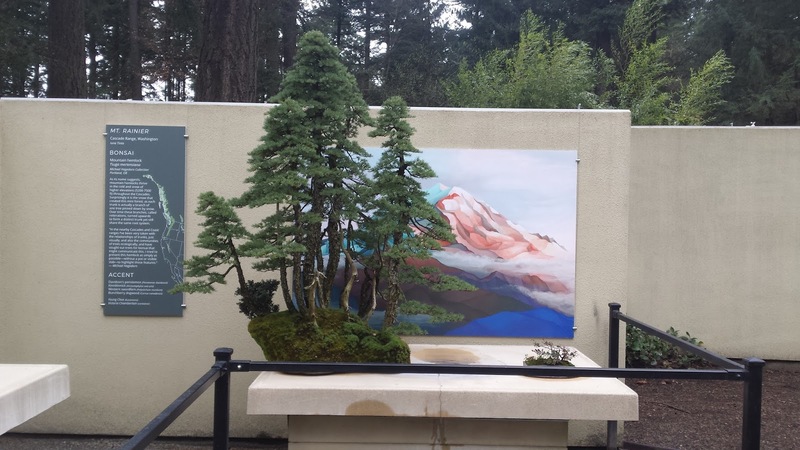 Last year in 2018, the display garden our team built kept true to Elandan's traditions. 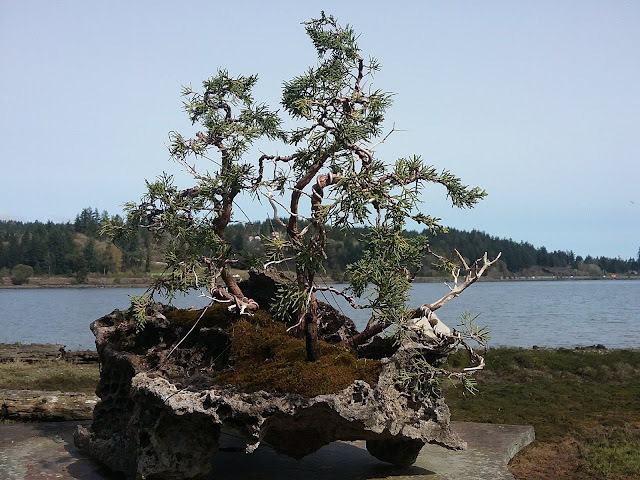 Dan again provided artfully pruned trees for display - both large landscape niwaki trees and small bonsai trees, while Will provided his stone sculptures - bigger and better than ever! 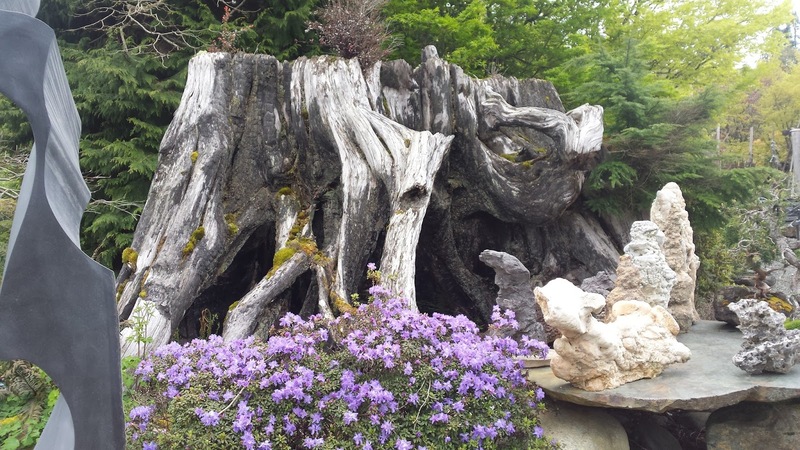 If this garden and the other display gardens in this post inspire you to attend the show, your time is limited! 2019's NWFGS ends this Sunday, February 24th! Dan and Will Robinson's 2018 NWFGS display garden entitled "Living Art-fully! It’s in Our Nature". One of the most rewarding parts of my "apprenticeship" at Elandan has been the annual Northwest Flower and Garden Show (NWFGS) - America's second largest gardening convention. Every year, some 60,000+ enthusiastic visitors fill the Washington State Convention Center. They come to see a variety of professionally landscaped display gardens, hear informative gardening seminars, and visit a wide variety of local vendors. Dan and his team from Elandan Gardens have participated in the show building display gardens every year since its creation in 1989. 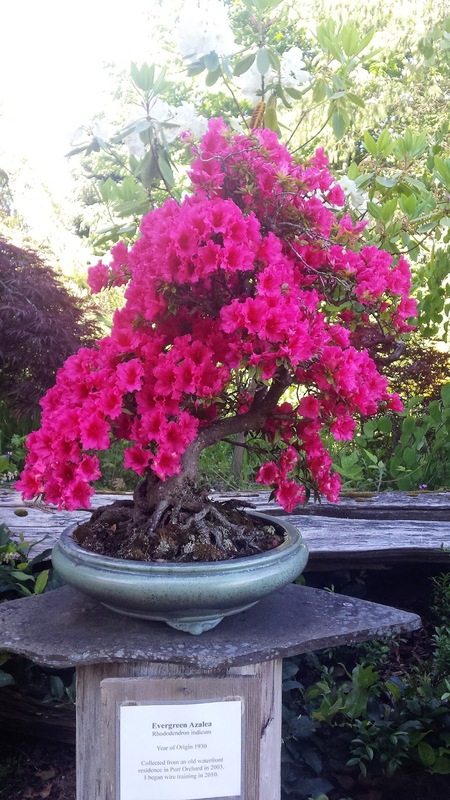 This year's Northwest Flower and Garden Show falls on February 20th-24th. 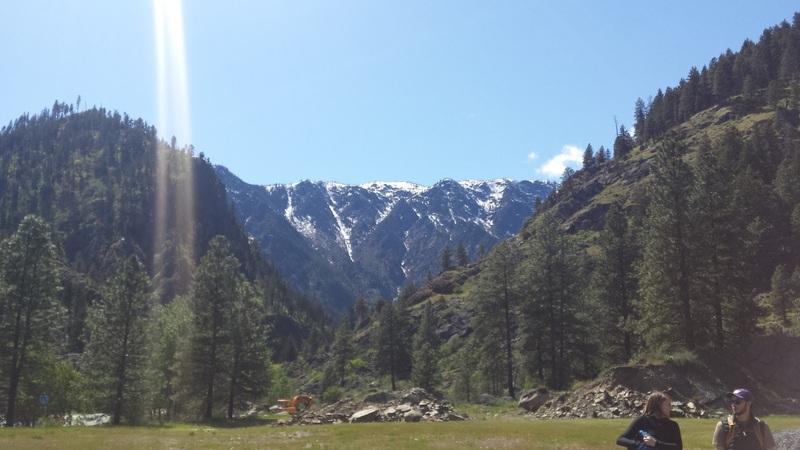 As I prepare to help Dan and his son Will (also a landscaper and stone sculptor) set up this year's garden, I wanted to share my excitement with you all by highlighting the past years where I was able to participate. Elandan Garden's 2017 entry into the NW Flower and Garden Show - entitled "The Fruits of Our Labor."